“The Rust Mansion is a 2 1/2 story end-gable structure with twin rear wall chimneys. It is constructed with a heavy timber frame and is sheathed with clapboards. Its asymmetrical five bay facade reflects its seventeenth century date while its pilastered entry with side lights and its modillion cornice represent Federal period alterations. It is one of the few first period houses located outside of the districts. It typifies a first period house which has been expanded through the nineteenth century to meet changing needs. The exact date of building and the identity of the original owner are uncertain. The first known owner was William Goodhue, and the house occupied the site where the South Meeting House later stood. Goodhue conveyed the house to Nathaniel Rust on June 2, 1665. Rust was a tanner and glover. His tanning establishment stood on the present site of this house. Rust sold to his sons-in-law on March 9, 1710, and in subsequent years the house changed hands many times. 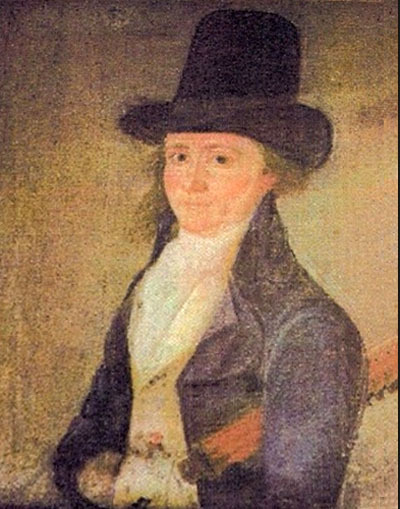 Dr. Samuel Rogers bought the house on June 19, 1750. Madame Rogers kept a school for young ladies which was of great repute. “Ezekiel Woodward sold to Nathaniel Rust, senior, 1685, one acre of this property, the eastern portion, with the house, reserving a right of way, where Elm Street now is, then on the same day, he sold Shoreborne Wilson the remainder, the western part on South. Richard Saltonstall owned fourteen acres, about eight acres of which lay to the south of the (Saltonstall) brook. In 1689, Nathaniel Rust was in possession of the part on the south of the brook. Rust sold an acre, bounded by the brook and the street, including buildings, tan-yard, etc., to Thomas Norton in March, 1700, and in November of that year Norton married Mercy Rust, daughter of Mr. Nathaniel Rust. In 1701, Rust sold his son-in-law the seven acres adjoining the tan-yard lot, and in 1710, he sold Norton and Daniel Ringe, who had married his two daughters, his house and land where the South Church now stands (*no longer standing). Norton and Ringe sold out to Ammi Ruhamah Wise in 1723. Despite its fresh appearance, the comfortable house lately owned and occupied by Mrs. Potter, is of venerable age. It was built on the corner now occupied by the Meeting House of the South Parish, and when that edifice was erected in 1837, it was removed to its present location. Rogers purchased the property of Daniel Wise, in June, 1750. Wise received it from his father, Major Ammi Ruhamah Wise, son of the celebrated Rev. John Wise of the Chebacco Parish. Major Wise purchased from Daniel Ringe and Thomas Norton, in 1723, who bought the estate of Nathaniel Rust, their father-in-law, in 1710. Rust acquired the property, with a house and barn, on June 2, 1665, by purchase, from Deacon William Goodhue. Brown remodeled the house after it was moved to this location, changing the look of the original house. There are several periods of construction evident; the front parlor rooms have 10-foot ceilings, while the possibly first-period rear wing has exposed summer beams and low ceilings. The asymmetrical 5 bay façade reflects its early construction while its pilastered entry with side lights and modillion cornice indicate Federal period alterations. Captain Nathaniel Rust. Image provided by his descendant Robert C. Rust. The first known owner of this property was William Goodhue, who owned also owned property west of town and may have built the original Goodhue house on Topsfield Road, although the current house is believed to date to the mid 18th Century. Goodhue conveyed his house to Nathaniel Rust in 1665. Rust was a glover whose tanning establishment stood on the present site of this house. Nathaniel Rust “the glover” took the Ipswich freeman’s oath on May 27, 1674. He was appointed quartermaster in the expedition to Canada on June 19, 1690 and was representative to the legislature in 1690 and 1691. His father Nathaniel Rust Sen. of Ipswich, also was a glover and died intestate. His sons-in-law Capt. Daniel Ringe and Mr. Thomas Norton were appointed administrators of his estate in December, 1713. In the Antiquarian Papers it is recorded that Major Wise resided in this house when it was on the South Green in the first half of the 18th Century. Major Ammi Ruhami Wise commanded a company of troops in a military expedition to the Spanish West Indies in the year 1740, was a noted merchant and Justice of the Court of Sessions, and served as representative to the General Court in 1739 and 1740. On July 6th, 1749 Major Ammi Ruhami Wise died in Boston at the age of 61 of fever. (source: History of the Town of Essex). Dr. Rogers purchased the property of Daniel Wise in June, 1750. Abraham Hammatt in “Early Inhabitants of Ipswich Massachusetts 1633-1700 recorded that “Dr. 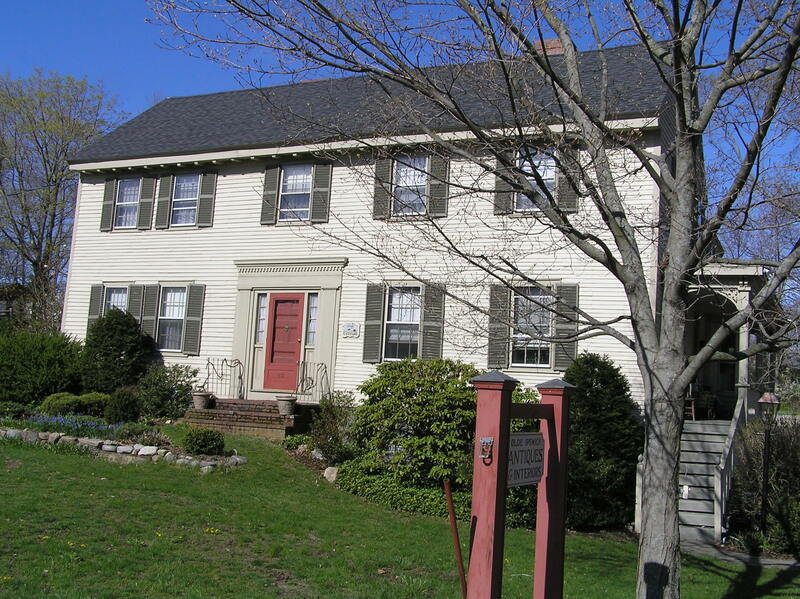 Rogers’ later home was the house which stood on the site of the present South Meeting house; built by Ammi Ruhamah Wise, and then possessed by Doctor Rogers.” Major Wise’s daughter Hannah married Dr. Samuel Rogers, a most noted physician and town leader. When Samuel Rogers died in 1772, Hannah was obliged to sell half of her home to cover her husband’s debts. In 1774, she began teaching the girls of Ipswich in her diminished living quarters. Madame Rogers was a singularly intellectual and cultivated woman to whom wealthy families sent their young ladies for assistance with mental development. Saturdays were devoted to the study of 107 questions and answers about God known as the The Shorter Catechism. It was considered the important lesson of the week and no girl could possibly be excused without a most valid reason. The Rogers-Brown house, County Rd. According to an old legend, Lucy Martin was a bright girl with that excess of young life which must find expression. Once, as the girls were arranged before their Instructress to receive the usual Saturday drill, Mrs. Rogers was horrified to hear a titter which amounted to almost a laugh. Her keen eyes ran up and down the class and the trembling Lucy made full confession.